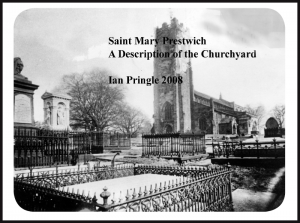 Welcome to the Prestwich and Whitefield Heritage Society. The Society was set up in 1999. We seek to research, record, celebrate and preserve the history and heritage of Prestwich and Whitefield and their immediate environs. The Society has Talks and Meetings about once a month in the Church Inn on Church Lane, Prestwich and everyone is welcome to attend. There are visits to places of interest near and far. The Archaeology Group digs on sites in the neighbourhood on the summer weekends. Please explore the website and get in touch if you have any questions or comments. Use the blue Navigation Bar at the top of this page to find your way around. Or click on the links on the left hand side. Note : The changing pictures at the top of this page are …. 1. The Church Inn, Prestwich where the Society meets. 2. The wall plaque on Morrisons Supermarket in Whitefield showing the Besses o’th Barn Band. 3. Whitefield House (formerly Underley) as the Town Hall in the 1950s/60s. 4. A drawing of the old Deyne Rectory in Prestwich made about 1840. The Society would like to thank Vidahost for providing the web space for our site …..